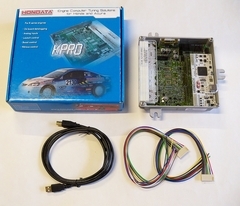 This K-Series Programmable ECU solution consists of a hardware circuit board (KPro) that is added to a Honda K Series ECU, plus Windows software (called Kmanager) which allows you to re-program the ECU as needed and datalog sensors. 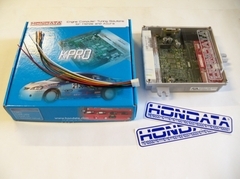 A compatible Honda K series ECU is required and NOT included in price. 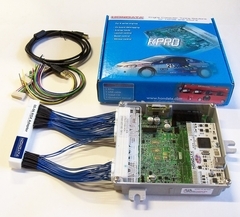 For a complete K-pro equipped ECU solution, see our ECU Packages. Price includes FREE installation into customer provided ECU. 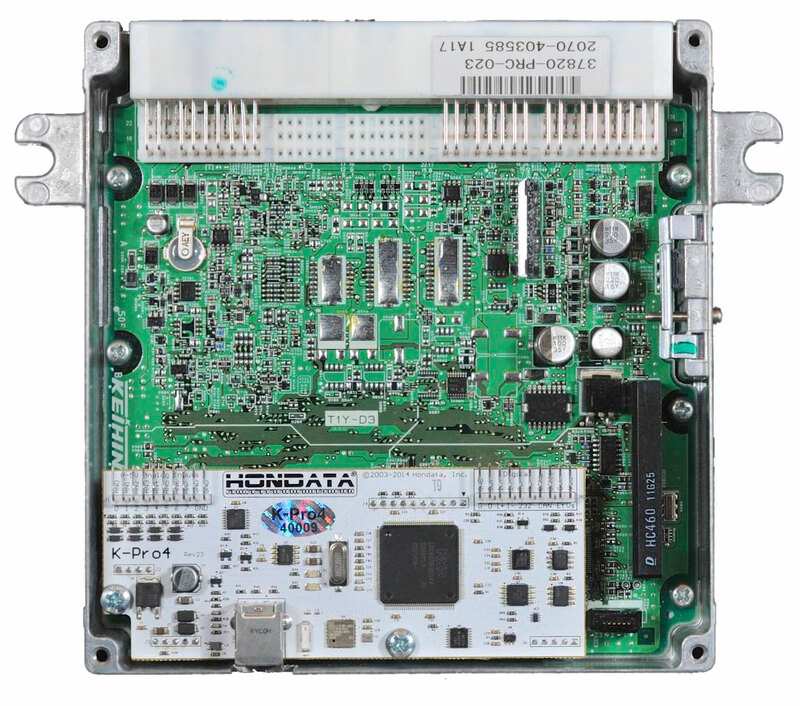 What ECU's can I use with the Hondata KPro? 00-05 Honda S2000 - Requires specially modified 02-04 RSX PRB ECU, special mounting bracket, and additional engine components to be changed. 03-06 Honda Element with manual transmission - Requires specially modified 02-04 RSX PND ECU and conversion harness. Where do I get the Kmanager software? 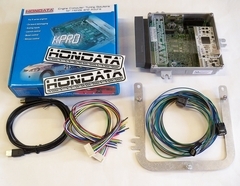 NOTE: This package is for those who already own a compatible K series ECU and would like to have the Hondata Kpro 4 installed into their own ECU. Will require shipping of your K series ECU to us, which will then be shipped to Hondata for the K Pro installation, shipped back to us, and then finally to you. Please allow a total of 7-10 business days before your receive your ECU back from the upgrade. Please print and complete This Form and include with your ECU when shipping to us. This form must be 100% complete and legible or Hondata may reject your ECU.